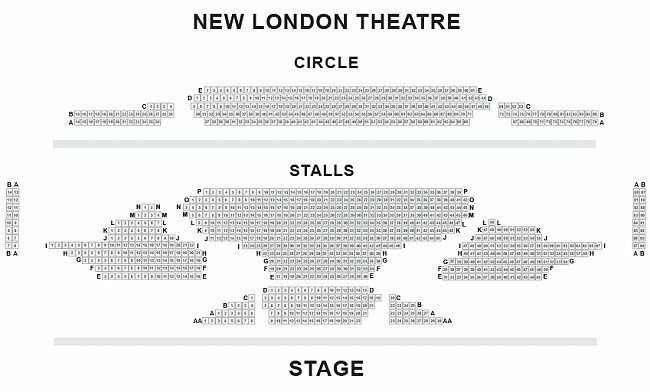 London New London Theatre Seating Plan: Seating in the auditorium includes Stalls and Circle. The seating may vary from time to time and these changes may not always be shown on the seating plan below. Book tickets for School of Rock the Musical at the New London Theatre. Based on the hit Jack Black film, Andrew Lloyd Webber‘s Olivier Award-winning stage adaptation School Of Rock – The Musical is leaving audiences rocking night (with three children’s bands live every night) after night at the New London Theatre. Posing as a substitute teacher at a prestigious prep school, Finn discovers his students’ musical talents, and opts to enlist his fifth-graders in a quest to conquer The Battle Of The Bands.